The Amano Group has been around since 2009 and in these past years they have become a popular hotel brand among urban travellers looking for an exclusive first class atmosphere. The Amano Group is a Germany based hotel chain with six hotels in total, one in Dusseldorf and five in Berlin. I had a chance to visit one of their largest facilities: The Amano Grand Central in Berlin. With 250 rooms Amano Grand Central caught my attention as they dedicated their time to create a 5-star experience for a very affordable price. 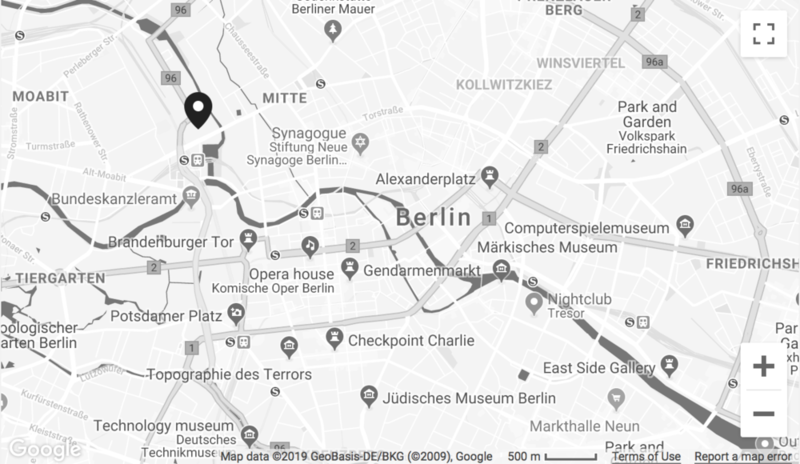 Every single Amano Group hotel in Berlin is very well located and close to all major attractions of the city with Amano Grand Central not being an exception. The hotel is located right next to Berlin Central Station which is not only known as the main railway station of the capital but is also famous for being one of the most spectacular modern architectural structures in the city. Trains from Berlin Central Station will take you to the most major attractions in 8 to 15 minutes and if you desire to see the famous Brandenburg Gate your train ride will only last 5 minutes. Amano Grand Central is also very well connected to the airports of the city. If you landed in Tegel Airport your journey to the hotel will last you 20 minutes on a bus meanwhile traveling from Berlin Schönefeld Airport will take 30 minutes on a train. The stylish and authentic Amano Bistro is there for everyone's comfort. The combination of rich colours, clean lines and elegant lighting invites the hotel guests and passer-byes to have a meal in a relaxed and refined atmosphere. French and Mediterranean region inspired meals with innovative Amano touch will leave no one unsatisfied and the ones who will feel like enriching their evening with fine drinks and cocktails will be warmly welcomed in the Apartment Bar on the 6th floor of the hotel. Tasteful interior of the Apartment Bar and lounge will make every first time visitor stop and admire splendid design of the space for at least few seconds. Vibrant lighting and green velvet couches are one of the few elements that will be appreciated by the lovers of unique style and taste. It is a shame that I visited The Apartment Bar during the day as the lighting arrangements and vast windows, allowing to enjoy the stunning view of city, were promising of a glamorous and electrifying night out in Berlin. The Business suite is the largest and most exclusive room available in Amano Grand Central. The suite is designed for families or small groups of travelers looking for an affordable yet a lavish way to enjoy Berlin. Here you will find two King Size bedrooms connected to a large dining room with a fully equipped kitchen space. Dining area is furnished with rustic and dark couches, tables and chairs which are accompanied by heavy curtains untouched by hand and devoid of dust. The Business Suite (also nicknamed “The Apartment” by one of the members of staff) includes facilities like air conditioning, satellite TV, a minibar and Nespresso coffee machine. Well located, Amano Grand Central is dedicated to providing its guests with experience of the highest class for a very affordable price. Every urban traveler will enjoy their rooms designed with huge attention to detail and commitment to modern and clean style. In the meantime elegant and luxurious Amano Bistro and The Apartment Bar will accommodate everyone seeking a meal or a cocktail which will be as exceptional as the atmosphere they will get steeped in while visiting. Mainly the focus on excellence and unique taste is why Amano Grand Central was a discovery to me and so I am looking forward to rediscovering it next time I am visiting Berlin. Rooms start at €67 per night.